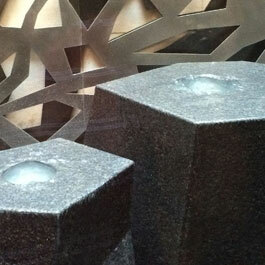 The water feature inside The InterContinental Hotel was designed to flow with the hotel's natural elements theme. 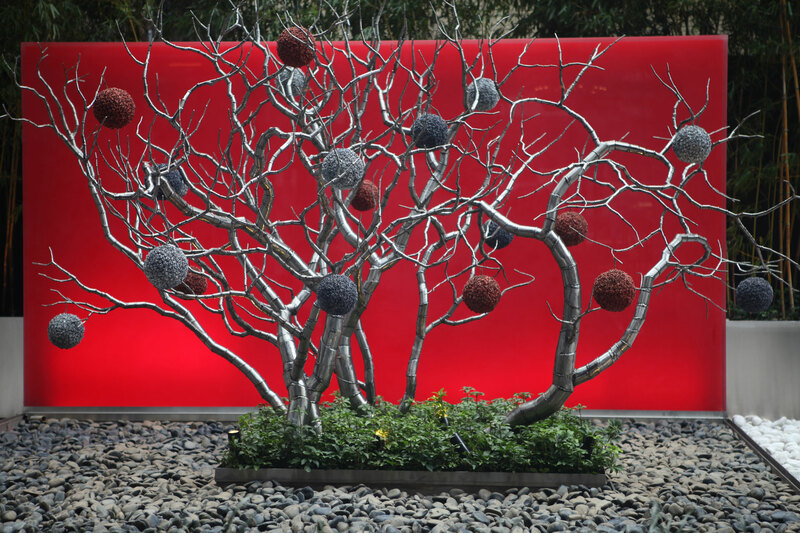 During the holiday season, the hotel drains the reflecting pool and decorated the metal tree branches. 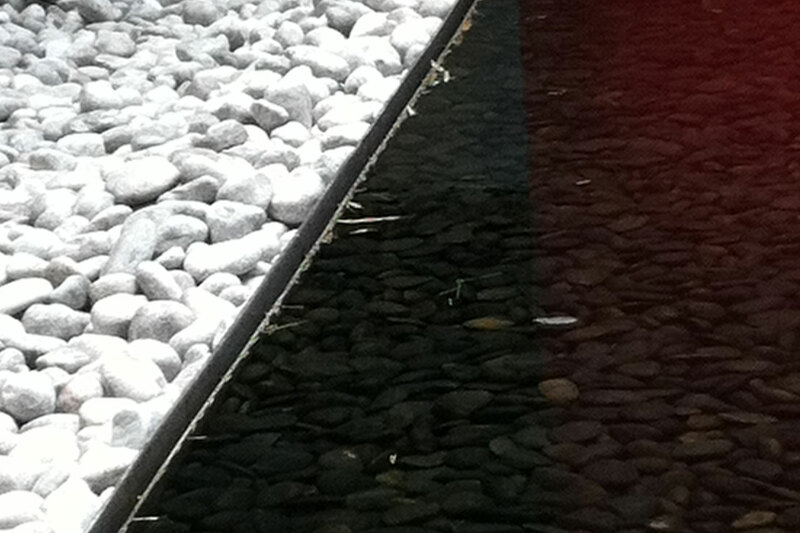 The reflecting pool looks like a typical negative edge water feature, but actually holds surface tension. 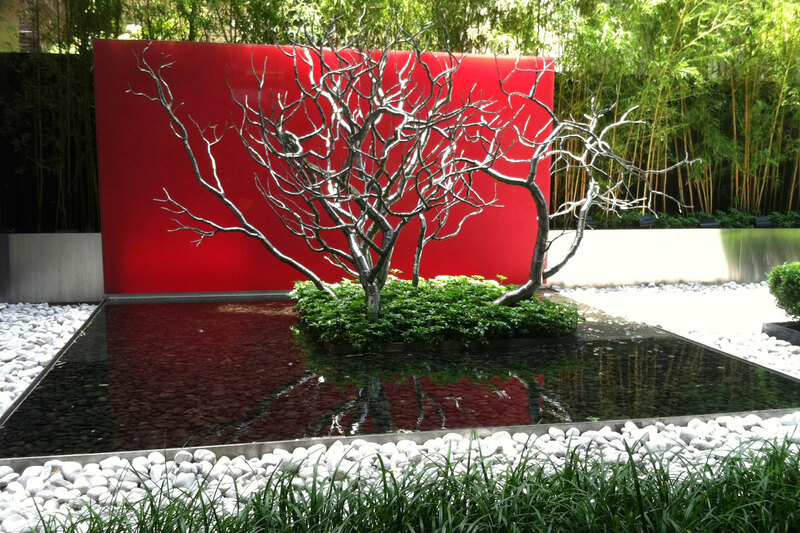 The hotel designers created an atrium for the reflecting pool and zen, rock garden. The atrium is surrounded by glass on three sides for hotel guests to view. The InterContinental Hotel is a luxury Times Square hotel in Midtown Manhattan. 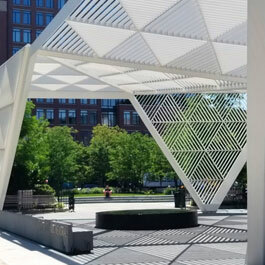 The hotel is one of the most environmentally responsible New York City Times Square hotels, and has incorporated several green initiatives and natural elements into their design. Lobby water feature sits in a glass atrium behind the front desk in the lobby, and is visible to guests and visitors. During the holiday season, the hotel staff decorate the tree while the reflecting pool is drained for the winter. The InterContinental Hotel’s water feature has a unique blend of materials. 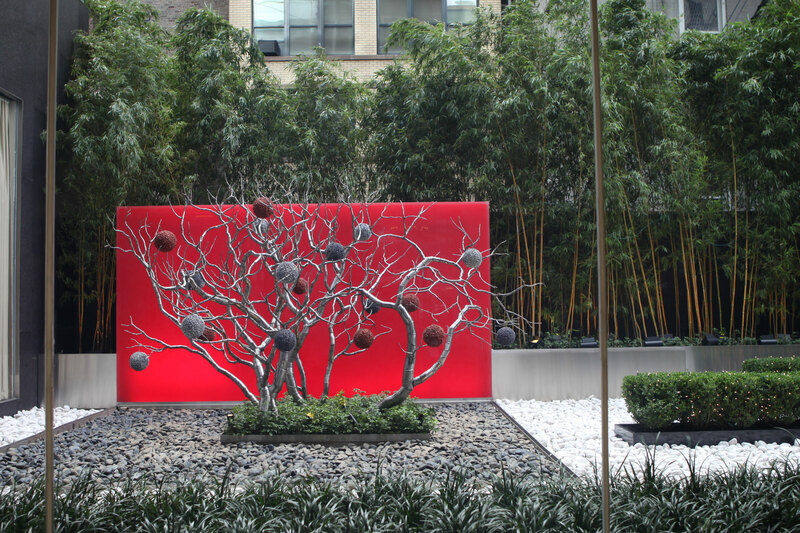 The metal tree, smooth stone bottom, and reflecting pool combine to create a tranquil background to the hotel’s bustling lobby. 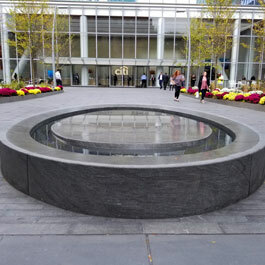 The water aspect of the feature, although it may look like a standard negative edge reflecting pool, is actually a thin pool with surface tension. 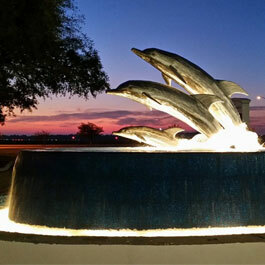 Delta Fountains provided the custom stainless steel basin, the water feature’s equipment, controls, and the sand filtration system.